Parents want lower fees to watch kids play soccer at Eastside Sports Complex ! Parents want lower fees to watch kids play soccer at Eastside Sports Complex . . . . . . . . . .
EL PASO, Texas (KFOX14) — As children get ready to hit the soccer fields this season, parents are asking the city of El Paso to lower the fees they have to pay to watch their kids. 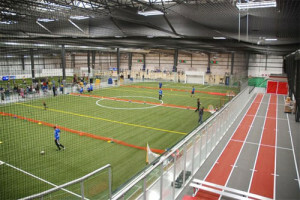 The city is imposing a per-person entrance fee for the newly opened Eastside Sports Complex.”I think it’s going to be very difficult for a lot parents in this community,” said youth soccer coach Jimmy Ryan. The fee is $5 per adult and $2 per child, and parents said it adds up. District 5 City Rep. Michiel Noe said the fee is needed. “These are fields that we made special and they are very special, and we’re going to make sure that they’re maintained in the quality that they deserve to be maintained,” he said. A spokesperson for the city of El Paso told KFOX14 the Westside Sports Complex does not charge an entrance fee. But, they said, since the new complex on the east side has enhanced fields and dedicated staff, it needs to have a revenue stream for that upkeep. Parents said they are not opposed to paying a fee, but they want it to be reasonable. Noe said the parks department is looking into the fees and what options may be available. Those will be presented to the City Council within the next month.